Colgate Organic Mattress Pad #Giveaway (Preparing For Baby Guide) CLOSED! With my son, I learned that diapers do not always last as long as you might intend them to. I hated getting him from his crib to find that he soaked through his diaper and got his sheets and bedding completely wet, not to mention that he would be soaking wet too. My daughter was not the same, it was rare that she would leak out of her diapers, so when my son became notorious for leaky messes I learned that having a pad cover on the mattress was essential. That being said, this time around I will be prepared. Recently I was sent the perfect mattress pad that is exactly what we will be needing for the new baby! 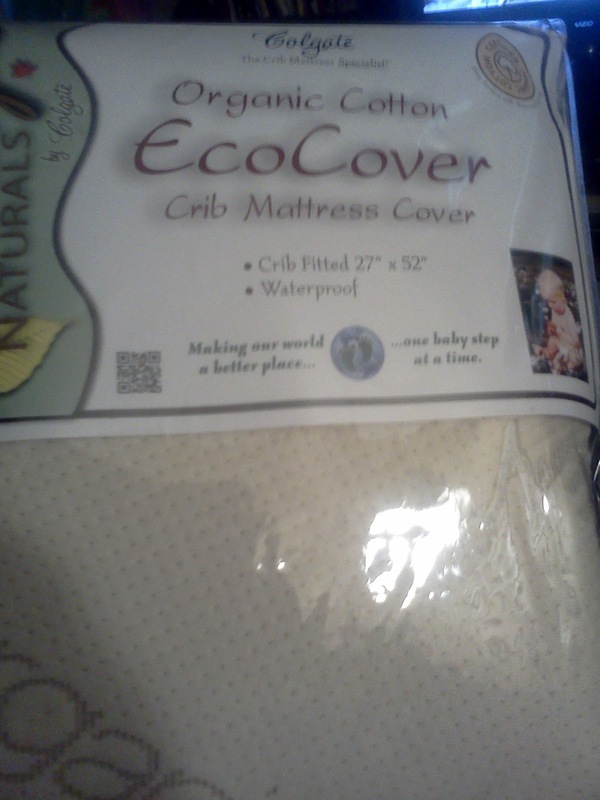 I was sent a Organic Cotton EcoCover Crib Mattress Cover from Colgate Kids! I love that this is a organic mattress cover which is great for using for a new baby. The Colgate EcoCover is made to fit all standard size American crib mattress’s, which is a plus when shopping for baby! I love how well this mattress pad holds up and even though it is made from organic cotton, it has minimal shrinkage! Another plus is that this mattress pad is made in the USA, which is always a plus when I am shopping for any products for my family! This mattress pad is waterproof and keeps your babies skin dry, even when their diaper leaks, which can make a huge difference and minimize those horrible diaper rashes that I dealt with when my son had his frequent diaper leaks. While you are preparing for baby, get the Colgate Organic Cotton EcoCover Crib Mattress Cover and keep your babies skin dry! Well the wonderful people from Colgate Kids would like to give one of my amazing readers their own Colgate Organic Cotton EcoCover Crib Mattress Cover!! Take a look a the products over at Colgate Kids and tell me what other product you would like to have!! Please leave me your email with this entry!!! This giveaway is open to US residents. This giveaway will end at 11:59 pm on June 17,2012. Winner will be chosen at random.org and will be given 48 hours before another winner will be chosen. All products for reviews and giveaways are given as a sample from the companies. All opinions in reviews I conduct are my own. I was not paid to say anything or review any products. Previous Post K'NEX: Classic's That Are Here To Stay! Next Post Ben & Jerry's #Giveaway (Fathers Day Guide 2012) CLOSED!! The ecofoam mattress would also be great. I like Colgate Mattress on Fb.Kimberlie S.T.